Zone Control Systems | Fresh Air, L.P. Does Your Zoned Heating System Seem to Be Malfunctioning? One of the best upgrades you can make to both your central air conditioning unit and your furnace is adding a zone control system to it. This allows you to direct air to individual rooms and control the temperature in each of those rooms. This allows for better efficiency and fewer family arguments! However, just like any other HVAC addition or appliance, a zone control system might need repair at some time or another. 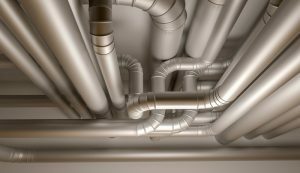 There are a number of repairs that are unique to these systems, and each of them requires the touch of a highly trained HVAC professional, such as the members of our team. We’ve shared some common zone control problems below to help you troubleshoot what’s going with yours. Posted in Zone Control Systems | Comments Off on Does Your Zoned Heating System Seem to Be Malfunctioning?